Digital Muscle Media has created one of the most credible, multifaceted, multimedia destinations in the fitness, nutrition, supplementation, healthy living, physique sports & bodybuilding industry. If you’re looking to connect with a diverse audience of serious fitness enthusiasts, this is quite possibly the best overall value in the category. 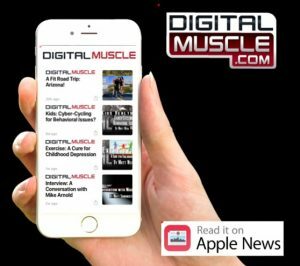 DigitalMuscle.com is a multifaceted media hub within the high octane world of fitness, training, nutrition, bodybuilding, healthy living, physique sports, and overall transformation. The DigitalMuscle.com media platform is home to many of the fitness industry’s highest profile events, a variety of video series, podcasts, and a thriving blogosphere, showcasing the ideas and opinions of some of the industry’s prominent experts in training, nutrition, supplementation, research and editorial. An unrivaled combination of webcast, broadcast, blog formats, and celebrity content deliver a tremendous media/marketing value for any brand looking to reach its target audience, while building a relationship with a credible, high integrity media partner. Creating Value with a True Brand Partnership: While conventional media outlets prefer to simply sell “banner space”, Digital Muscle uses a far more comprehensive model to create a modern day approach to building digital marketing, media & advertising value.